Versions of this article were co-published by The Daily Beast, the Columbus Dispatch, Wisconsin Gazette, Urban Milwaukee, Sun Prairie (Wis.) Star and the Wisconsin Center for Investigative Journalism. Comcast Corp., Microsoft, Koch Companies Public Sector, the National Retail Federation, Health Care Service Corp., the American Petroleum Institute, Chevron and AT&T are among the companies, associations and lobbying powerhouses that funded a limited liability company called “Friends of the House 2016 LLC,” according to bank records. The limited liability company effectively hid the corporations’ contributions from public view at a time when activist groups were pressuring companies to scale back giving to the Republican convention, and a few of the companies had publicly minimized their participation. “The immediate effect is it looks like it hid certain donors to the convention,” said Lawrence Noble, senior director and general counsel for the Campaign Legal Center, a nonpartisan nonprofit that advocates for campaign finance reform. The “cloakroom” was constructed on the Cleveland Cavaliers practice court inside the Quicken Loans Arena in Cleveland. One company that helped pay for the “cloakroom” confirmed its contribution bought it entry to the space. The Center for Public Integrity obtained the bank records from a lawsuit filed in Cuyahoga County Court of Common Pleas in Ohio. To confirm the payments shown in the bank records and to determine the purpose of them, the Center for Public Integrity attempted to reach representatives of the 20 corporations and trade associations named in the records. Of the 20 companies, 15 either declined to comment or did not respond to questions. Except for Health Care Service Corp., the companies that responded did not offer specific responses about the purpose of the payments to Friends of the House 2016 LLC or detail what they expected to receive in exchange for the payment. The Cleveland 2016 Host Committee, which oversaw logistics for the Republican National Convention, received $923,100 from the Friends of the House 2016 LLC. The host committee facilitated construction of the “cloakroom” space, said Emily Lauer, a spokeswoman for the Cleveland 2016 Host Committee. “This type of secure space for dignitaries has been provided at most recent conventions but is not under the control of the Host Committee,” Lauer said in an email. She directed questions about the use of the space, and who had access to it, to Friends of the House 2016 LLC. But Jeffrey Livingston of Friends of the House 2016 LLC didn’t respond to multiple inquiries from the Center for Public Integrity. A marketing booklet featuring photographs of the “cloakroom” space, credited to contractors Master Plan Design and Joe Mineo Creative, said Ryan’s representatives helped design the space and supervise construction. Friends of the House 2016 LLC wasn’t created on Ryan’s behalf, and Ryan did not raise money for it, Seifert said. Seifert did not respond to a request to confirm Ryan had access to and used the “cloakroom” space. Seifert did say the only relationship between Friends of the House 2016 LLC and Ryan for Congress was a single $100 payment to purchase “a decorative item … after the convention had concluded.” He did not respond to a question about what the “decorative item” was. Corporate donors last year faced pressure from activists to scale back their giving to the political conventions, especially the Republican convention. A prime example: Color of Change, an online group that describes itself as a “racial justice organization,” said giving to the convention was tantamount to endorsing Trump. But national political conventions are legendary opportunities for access to lawmakers, despite ethics reforms Congress passed in the wake of influence peddling scandals. Complex rules govern even the details of events, such as food menus, but often turn on technical points, forcing lawyers to double-check legal advice every four years. For example, although individual congressional members can’t be honored by special interests, certain delegations of lawmakers can be — and frequently are. The rules for U.S. House members and U.S. senators aren’t identical. And companies have many routes to court those in power, like sponsoring delegations or events that raise money for charity. 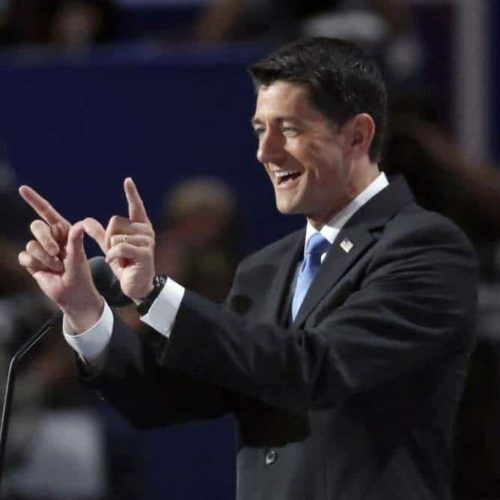 “The convention is one big loophole to the limits of corrupting money on politics,” said Paul S. Ryan, vice president for policy and litigation at Common Cause, a nonpartisan nonprofit that advocates for limits on money in politics. He is not related to House Speaker Paul Ryan. Friends of the House 2016 LLC appears to have provided companies an especially discreet opportunity to support the GOP convention. For several of the companies that didn’t otherwise donate cash directly to the Cleveland 2016 Host Committee — a list that includes 12 of the entities listed in the bank records — there was little or no public evidence of their use of corporate dollars to support of the 2016 Republican convention. For example, Comcast Corp., which wrote a $200,000 check to Friends of the House 2016 LLC, isn’t listed as a donor by the Cleveland 2016 Host Committee. Neither is Koch Companies Public Sector, which wrote a $100,000 check to Friends of the House 2016 LLC. In fact, a Koch Industries spokesman in June said the billionaire brothers Charles and David Koch, well-known Republican megadonors, weren’t planning to contribute to the convention at all. Neither firm responded to a request for comment about the payments to Friends of the House 2016 LLC. Microsoft gave a $1.8 million in-kind contribution of software to the Cleveland 2016 Host Committee, records show, but no cash. Microsoft explained its decision in an April 2016 blog post by Fred Humphries, corporate vice president of U.S. government affairs for Microsoft. Humphries wrote: “We decided last fall to provide a variety of Microsoft technology products and services instead of making a cash donation” to the Cleveland 2016 Host Committee. 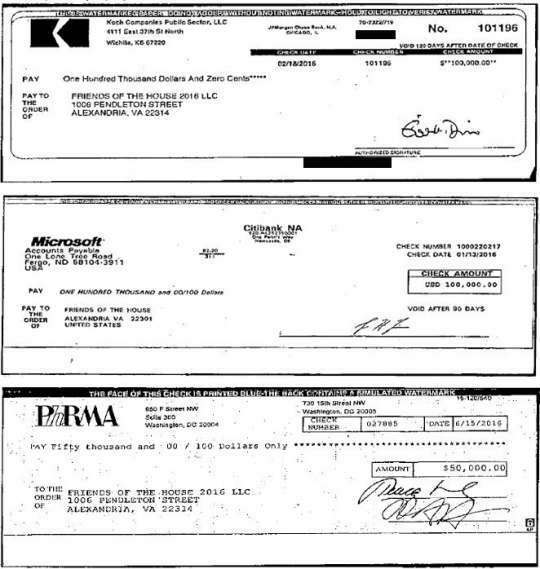 Microsoft did contribute cash to the Democratic convention host committee. Microsoft did, however, pay $100,000 to Friends of the House 2016 LLC, according to bank records. Friends of the House 2016 LLC then donated money to the Cleveland 2016 Host Committee. Other entities contributing to Friends of the House 2016 LLC, such as the American Petroleum Institute, Anthem Inc. and AT&T, also made separate contributions directly to the Cleveland 2016 Host Committee that appeared in public disclosure filings. Those companies did not respond to requests for comment. Ritchie did not respond when reminded that Friends of the House 2016 LLC is not a political committee. She also did not respond to questions about what specific policy or candidate Chevron was supporting by making the contribution to Friends of the House 2016 LLC. Chevron contributed $250,000 directly to the Cleveland 2016 Host Committee, records show. Asked to specifically address PNC’s $15,000 payment to Friends of the House 2016 LLC, she declined to comment. The Cleveland 2016 Host Committee disclosed the four contributions from Friends of the House 2016 LLC on required public disclosure reports showing contributions and expenditures. But the disclosures, which gave almost no hint of the corporate money underlying the contributions, were opaque, especially compared to the reports filed by the 2012 Republican host committee. In 2012, the host committee for the Republican convention in Tampa Bay, 2012 Tampa Bay Host Committee, Inc., reported receiving contributions from a similarly named limited liability company, Friends of the Host Committee. The 2012 Tampa Bay Host Committee Inc., however, listed the names of the corporate contributors that funded the Friends of the Host Committee limited liability company. The Cleveland 2016 Host Committee disclosed just one contribution — a $200,000 contribution from Marathon Petroleum Corp. — that carries the notation “Convention Services LLC & Friends of the House.” Marathon Petroleum Corp. isn’t referenced in the Friends of the House 2016 LLC bank records filed in court. Democrats, meanwhile, also had a “cloakroom” space with food and drink for elected officials at their convention, where they nominated former Secretary of State Hillary Clinton. 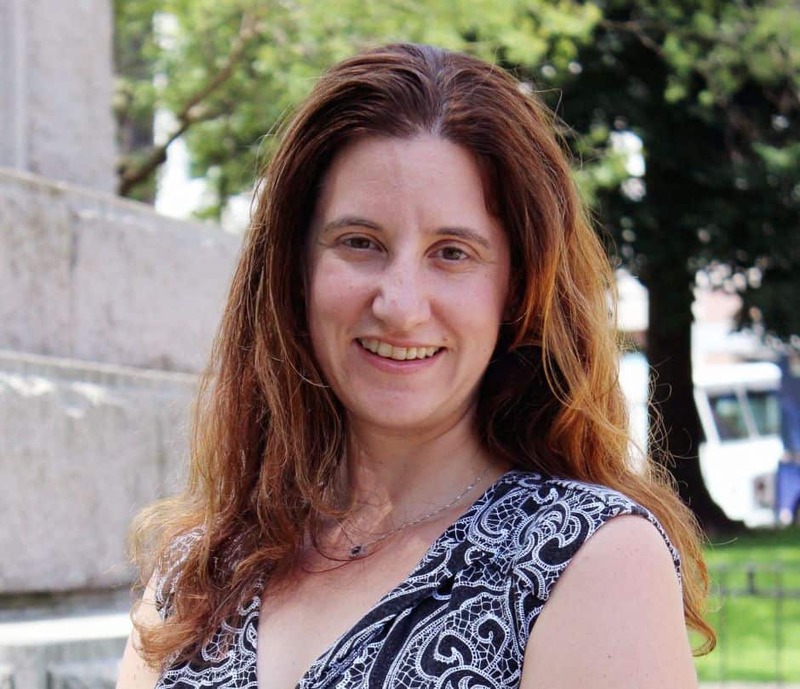 But “we did not have a separate LLC or separate fund” raising contributions earmarked for the cloakroom, said Anna Adams-Sarthou, a spokeswoman for the Philadelphia 2016 Host Committee. The Democrats used an existing lounge space in Philadelphia’s Wells Fargo Arena. The only cost involved was for the food and drinks served there, Adams-Sarthou said. That cost was included in the total amount the host committee budgeted for food and beverages, not broken out separately. The Cleveland 2016 Host Committee has complied with all reporting and disclosure requirements, she said, and any questions about the source of the money should be directed at the contributing organization – Friends of the House 2016. But if the corporate payments to Friends of the House 2016 LLC were earmarked for the convention host committee, “they should have reported the actual contributor,” said the Campaign Legal Center’s Noble. In addition, Noble said, if contributors believed they were giving to benefit Ryan, which isn’t certain, the situation could brush up against rules that limit spending for the purposes of honoring or benefiting a member of Congress. The Cleveland 2016 Host Committee did label some expenditures as “rec’d via Friends of the House.” More than $235,000 in payments labeled that way went to Joe Mineo Creative, which posted photographs of the “cloakroom” space on its website. Many of the same photographs are featured in glossy marketing materials published online. “Defining a memorable space, in an expansive room, for our nation’s patricians can be a daunting task,” part of the text reads. The text is on a page featuring a “before” picture of the basketball court and an “after” picture showing the transformed space, which boasts wooden beams, pendant lighting and areas featuring comfortable seating, pub-style tables and chairs, flat-screen TVs mounted on the wall, and other amenities. The sources of the limited liability company’s money might have remained secret if it weren’t for a lawsuit over a series of concerts that took place during the 2016 Republican National Convention. The lawsuit was filed in May in Cuyahoga County Common Pleas Court in Ohio by Allied Debt Collection of Virginia, a company owned by Robert Jennings, one of the concert organizers. The suit names several defendants, including Livingston. Friends of the House 2016 LLC isn’t a party to the lawsuit. Nonetheless, the limited liability company’s bank records were attached to a court filing. In addition to the money contributed to the Cleveland 2016 Host Committee, bank records show the limited liability company paid the Townsend Group, the firm Livingston works for, almost $386,000. The judge granted the motion and sealed the records, but they had already been publicly available for more than a month. The Center for Public Integrity obtained the filing before the records were sealed.